Do you recognize these horses? 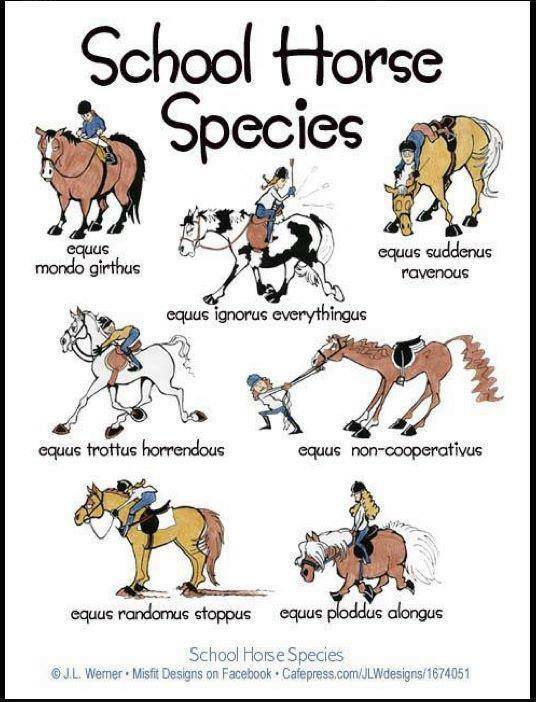 If you spent as many years as I did riding school horses, I’m sure you will recognize a few of these. Equus Non-Cooperativus was Daytona, my first horse. The picture actually kind of looks like him too! I blogged about him a few months back. As frustrating as he could be, he taught me perseverance! Ha! Hudson would like me to add “Equus Imperious” or was that “impertinous”? Hmmmm.